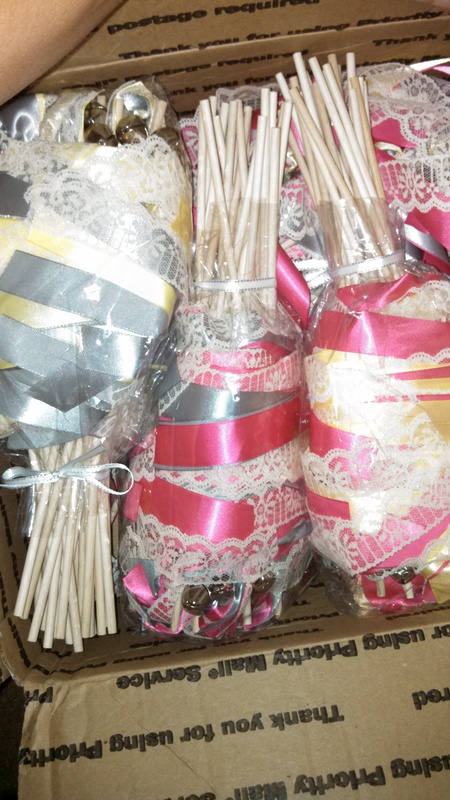 I have two bundles of wands for send off that have never even been opened!! 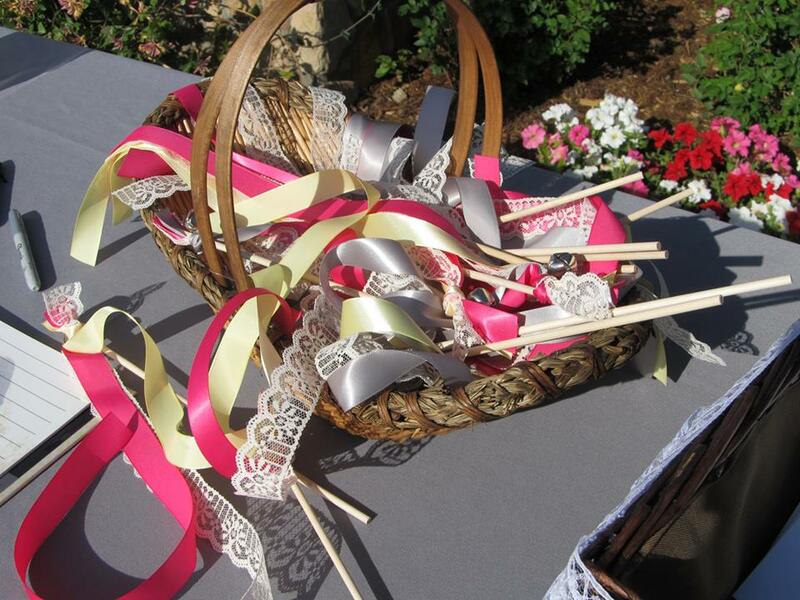 Two different colors- one set is 50 of pink, grey and lace and another set of 50 with pink, yellow and lace. I also have the sign my ring bearer carried down the aisle. We made it ourselves but it is rustic- stained wood with painted letters. open to offers but really need to sell! Please share and comment if interested! Hi! yes of course I can ship. 50 wands with triple ribbons and bells cost me $66 each. I am willing to sell each bundle of 50 for $25 each. Does this sound fair to you? I will sell both bundles plus shipping for $50.